“We mark this day, the 15th of August, as a Day of Mourning of the Vallipunam school girls massacre. We ask the people of Tamil Eelam and all Tamils living throughout the world to observe this Day of Mourning wholeheartedly,” the press release further said. 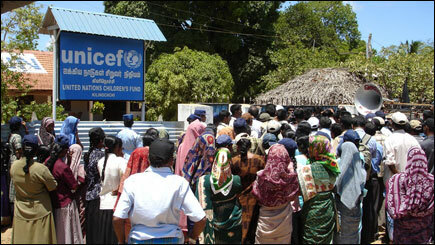 Meanwhile a protest march was held in Kilinochchi condemning the air attack. A large number of people gathered at Kandaswamy temple in Kilinochchi and marched to the UNCEF office, shouting slogans and carrying placards condemning the Sri Lanka Government for the attack. 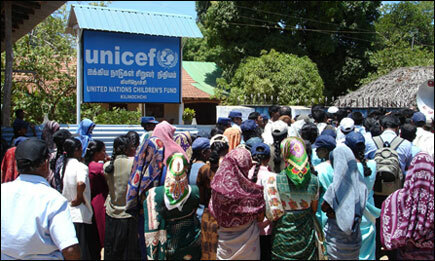 Sri Lanka Government’s spokesman, Minister Keheliya Rambukwella, claimed the bombed site was a Tamil Tiger military training camp. The head of the Sri Lanka Monitoring Mission (SLMM), Ulf Henricsson, said monitors who visited Chencholai Valaham after the airstrike said they found at least 10 bomb craters and an unexploded bomb. “It was not a military installation, we can see [that],” Mr. Henricsson told Sri Lanka's MTV television.